Etched metal plates, poster-sized prints colored pink and turquoise, and folders of lithographs spill across a row of tables in the Print Reading Room of Belgium’s Royal Library in Brussels. Andi McKenzie—the Michael C. Carlos Museum works on paper curator and my supervisor—and I are examining materials by Belgian Symbolist Félicien Rops (1833-1898), comparing aspects of design and technique in these works to our digitized photos of those in the Carlos’s collection. Squinting through a magnifying glass at one such photograph, I count the number of lines in a hatched shadow of the print and then count the lines etched into the corresponding area of the copper plate on the table in front of me. I sigh, relieved—they match. In 2013 Emory’s Carlos Museum received a collection of nearly two hundred works by Félicien Rops. The collection, donated to the Carlos by the Stuart A. Rose Library, consists primarily of two large binders of prints as well as a large hand-colored etching of Rops’s famous Pornocrates (1896). This comprehensive collection represents many facets of Rops’s oeuvre, from prints exploring his working-class sensibilities to satirical journalism and book frontispieces. It provides examples of his consistent experimentation with the printmaking medium and displays his mastery of a multitude of printmaking techniques. Because works on paper are fragile, most can be exhibited for no more than three months at a time, and the Carlos mounts only two works on paper exhibitions per year. In order to reach a wider audience than sporadic site exhibitions can invite, I am working with the Carlos Museum, the Scholarly Inquiry and Research at Emory program (SIRE), and Emory’s Center for Digital Scholarship (ECDS) to create an online exhibition of the Rops materials, to be published in spring 2016. To this end, I traveled to France and Belgium for a week in early January on a SIRE Independent Research Grant, accompanied by Ms. McKenzie. We visited a relevant exhibition at the Musée d’Orsay in Paris, the print archives of the Royal Library of Belgium, and the Félicien Rops museum in Namur, where we met with the museum’s curator, Véronique Carpiaux, to discuss Rops’s oeuvre and the Carlos’s collection. I also conducted a video interview with Ms. Carpiaux, which I plan to incorporate in my exhibition, along with a translation of the interview from French to English. Prior to this trip my research had included catalogues raisonnés (systematic, annotated catalogues of the artist’s work) on loan from the Rose Library and other secondary sources, and in my reading I had encountered discrepancies between texts that offered contradictory plate and print measurements, media classifications, or descriptions of state. Some of these differences may stem from Rops’s experimental approach to printmaking—in which the artist would reproduce an etching or a drawing in a photochemical process such as heliogravure and then retouch the plate with drypoint, etching, or aquatint before reprinting—but in order to make true progress towards resolving these questions, I needed to investigate the metal plates myself and speak with one of the leading Rops scholars in Belgium. In addition to yielding important information about the technical and artistic processes behind some of the works in the Carlos Museum’s collection, this trip to France and Belgium reaffirmed my love of research and working directly with art objects in archives, libraries, and museums, with the goal of framing these prints and drawings within more broadly accessible terms, contexts, and media. While various aspects of the preparation occasionally felt intimidating, I gained some familiarity with the procedures associated with such projects and began to establish research connections with international institutions. The Rops materials at the Carlos provide an ideal opportunity to explore the ways in which the museum can utilize digital resources to bring its collections and exhibitions beyond Emory University and the Southeast to international, art-loving, and scholarly audiences. My winter break following the fall semester of my senior year at Emory was what some would call unconventional. From January 4-9, 2016, I spent five days poring through the Chinese Public Health Posters collection at the National Library of Medicine’s (NLM) History of Medicine Division in Washington, D.C. My visit to the NLM was borne out of my interests in the use of propaganda posters to convey health-related and political messages in China during the “four pests” campaign and 2003 SARS epidemic. What is the “fours pests” campaign, and why does it merit scholarly attention? In 1958, Mao Zedong (founding father of the People’s Republic of China and former Chairman of the Communist Party of China) initiated a hygiene campaign designed as a means to eliminate the “four pests” – rats, sparrows, flies, and mosquitoes – to aspire toward his ideal of a utopian socialist society and achieve what he believed constituted the requisite standards of cleanliness and hygiene therein. A concerted, highly coordinated, and foolhardy assault against nature, the “four pests” campaign is infamously known for its militaristic mobilization of human energy and unintended toll on the environment and human population. In a BBC news report titled, “China Follows Mao with Mass Cull,” Tim Luard noted an interesting connection between the imperative of ‘extermination’ in Mao’s “four pests” campaign during the late 1950s-early 1960s and the attempts to eradicate civet cats during the 2003 SARS epidemic in China. My current research builds upon this observation by comparing rhetorical and visual elements in propaganda posters from these two historical periods of importance in China; in other words, my work explores the legacy of Mao’s veritable “ideological war on nature,” as evidenced by propaganda used during the recent 2003 SARS epidemic. The bulk of the primary sources for my research consisted of Chinese public health posters. My rationale for analyzing public health posters relates to the political, social, and rhetorical weight that poster propaganda has carried in China, historically speaking. As Johns Hopkins History of Medicine historian Marta Hanson stated, “public-health posters are a window into the history of medicine and the politics of public health.” Public health posters present a vibrant means to explore the visual representations of public health campaigns in the past and present. In China, the use of propaganda posters for mass persuasion dates back as early as the fifth century B.C.E. During the Great Leap Forward (1958-60) and Cultural Revolution (1966-76) in China, poster propaganda became a fixture in daily life. Mao held a firm conviction in the power of wall posters (such as Dazibao, or “big character posters”) to mobilize the masses and disseminate political rhetoric. The rhetorical themes and visual genres found in such posters – such as the use of moral/ethical appeals and traditional art forms like the Chinese New Year print (i.e. Nianhua) – merit investigation because they illuminate the power of rhetoric as a major means to mobilize the masses and achieve political ends. After discovering that this resource existed, I decided to apply for a SIRE (Scholarly Inquiry and Research at Emory) Independent Research Grant in fall 2015 to fund a trip to D.C. the following semester. During my visit to the NLM, I spent approximately eight hours per day examining and documenting materials pertinent to my research. In the end, I accumulated nearly 600 photographs. As an archivist I became well acquainted with at the NLM remarked, I had started to “scrape the bottom of the barrel” on day four. By the end of my last day at the archives, I was told that I had finished looking through the majority – if not all – of the collection. As I’ve had previous experience with archival research at the National Archives in Atlanta, Georgia Archives, and the National Archives at College Park, Maryland, I felt sufficiently prepared prior to my visit to spend my time efficiently and properly document materials for analysis. Little did I know that the most challenging aspects of my research would follow my visit to the NLM. While identifying and documenting pertinent materials proved to be a relatively simple task, the organization, synthesis, and analysis of my data presented unique challenges. For previous research projects, I’ve kept track of primary sources (e.g. newspaper articles) by using a consistent naming system (i.e., “Date of publication_Newspaper title_Author name_Article title.”) However, I realized that the archival materials I documented at the NLM contained or omitted different information. This made it difficult for me to devise a uniform naming system for my 500+ photographs. I ultimately decided to take notes on the photographs in a Google Document based on their original file names. The next challenge involved analyzing and categorizing my primary sources into different visual genres and rhetorical themes. I referenced secondary literature to identify methodology in visual anthropology, visual genres specific to Chinese propaganda posters, and analytical tools pertaining to linguistics. 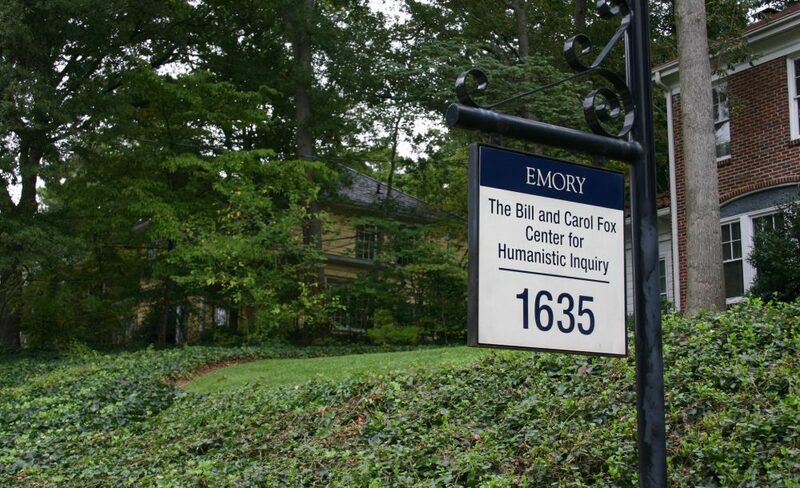 I found that the best approach was to consult academics from diverse fields, including: my faculty advisor, committee members, and other Emory faculty members. In the end, my decision to visit the NLM and collect primary sources proved to be indispensable to my thesis and challenged me as a researcher to continue to hone my methodologic, analytic, and organizational skills. Luard, Tim. “China Follows Mao with Mass Cull.” BBC 6 Jan. 2004. Web. <http://news.bbc.co.uk/2/hi/asia-pacific/3371659.stm>. Shapiro, Judith. Mao’s War against Nature: Politics and the Environment in Revolutionary China. Cambridge: Cambridge UP, 2001. Print. Hanson, Marta. “The Art of Medicine: Maoist Public-Health Campaigns, Chinese Medicine, and SARS.” The Lancet 372 (2008): 1457-8. Print. Lu, Xing. Rhetoric of the Chinese Cultural Revolution: The Impact on Chinese Thought, Culture, and Communication. Columbia: U of South Carolina Press, 2004. Print. Landsberger, Stefan. Chinese Propaganda Posters: From Revolutionization to Modernization. Amsterdam: The Pepin Press, 1995. Print. N.a. “Introducing “Health for the People,” An NLM Online Exhibition of Chinese Public Health Poster, Transparencies, and Pharmaceutical Ads.” NIH.gov, 04 May 2010. Web. 8 Oct. 2015. <https://www.nlm.nih.gov/news/chinese_posters.html>. The San Francisco Peace Pagoda, a gift from sister city Osaka, Japan in the heart of Nihonmachi or Japantown. My honors thesis is on the 1988 legislation (Civil Liberties Act) that granted a formal apology and reparations payments to all individuals who had been unjustly incarcerated in Japanese American internment camps during World War II. While both the internment and pursuit of reparations has been well-documented, there has been comparatively little written about the actual legislation. In particular, the portion of the legislation creating a public education fund to create greater awareness of the internment, called the Civil Liberties Public Education Fund (CLPEF) has been almost entirely overlooked in the literature. My thesis, and my archival research conducted with the SIRE Independent Grant is meant to fill this gap. The CLPEF holds great significance because researchers have uncovered the ways in which the legislative process created a one-sided and biased depiction of Japanese American history. Conservative leaders of the Japanese American community and members of Congress erased the well-documented evidence of resistance and protest both during and after internment – and included only narratives consistent with the “model minority” position that Asian Americans have long occupied in American discourse. By making clear that reparations were being awarded to an exceptional group, Congress and the Reagan administration were sending an explicit message to other oppressed groups with claims for the rectification of injustice. While many in the movement for redress had seen their advocacy as part of a larger mobilization on behalf of all vulnerable communities, they had been cut out of the process once the legislation reached the capital. The design of the CLPEF, which called for the allocation of grants for Japanese American individuals and organizations to undertake public education initiatives (curriculum, monuments, books, movies, etc. ), held great promise for the recovery of the voices of activists and organizers that had been excluded from the official legislative process. With this hope, I traveled to San Francisco to meet with Dale Minami, the former Chair of the Board of the CLPEF and to peruse his personal papers from his tenure. Mr. Minami is a well-known attorney practicing in the San Francisco area and has been a tireless advocate for the protection of civil liberties and the Japanese American community. I was able to spend a week in the offices of his law firm, Minami Tamaki LLP, to go through his extensive personal correspondence, board meeting minutes, and other relevant documents to get a better sense of the operations of the CLPEF. To date, there is very little information available on the work of the CLPEF Board, despite the incredible responsibility that they were given. During my time in San Francisco, I was most excited to find out from Mr. Minami that one of the priorities of the CLPEF Board had been to uncover and disseminate the stories that had been silenced in the legislative process. Furthermore, there were extensive email records and communications between Board members discussing how they might most effectively recover these narratives. These were exactly the documents I had been hoping to find. After a week of poring over the files and having extended conversations with Mr. Minami over lunch, I came away with the materials I needed to complete my thesis and new ideas that I hope to pursue in my future research. “They’re Mexican, so they speak Spanish.” These words appeared an article in The New York Times about a hospital official in New York who called a Mexican organization to help her understand some Mexican patients. The quote above is what the hospital official responded when the person at the Mexican organization asked her if she had asked what language the family spoke. The hospital official just assumed they spoke Spanish, but the family actually spoke Mixtec, one of the many indigenous languages spoken within the borders of the Mexican nation-state and across Central America. This situation is not surprising to me because I’ve experienced this linguistic and cultural disconnect on numerous occasions during the last eight years that I have been living in the United States. I grew up speaking Mixtec in a small rural town in Mexico and learned Spanish in school (but even there everyone else in the school spoke Mixtec). Anyway, for instance, many people now ask me why I’m majoring in Spanish if it’s my first language since I’m Mexican? Therefore, with this project I want to explore not only the implications of language and culture barriers in medicine and healthcare, but also present to people in the United States a less known community of immigrants. This is my first experience with a research project, so I’m learning aspects of the research process that I did not know about previously. For instance, I didn’t think I would need IRB approval for this project since it didn’t involve a life science type of experimentation. But I quickly learned that since my project involves interviewing human subjects, confidentiality must be guaranteed, and consent forms must be obtained in all languages used in the research (English, Spanish, Mixtec; an additional consideration is how to obtain consent from study participants who are not literate). There are other issues that require careful consideration in order to ensure few risks to the participants. This of course took longer than I expected because I had to do multiple revisions and incorporate a number of changes suggested by the IRB. While waiting for the IRB approval necessary to move forward with the field research aspects of my project, most of my research has focused on gathering data from journals and books to lay the foundations of the subject that I wish to present; my work has focused primarily on ethnobotany and discussions of healthcare delivery to immigrant communities in the US. This phase of the project has included regular meetings with my advisor and discussing ideas and receiving advice from her about bibliography and organization of the project. Finally, about a week ago, I received IRB exemption of my project so now I can move forward with the interviewing aspect of my research. This spring break I’m planning to travel to Mexico to carry out interviews and gather information about the Mixtec community. My project is about intercultural relationships in medicine, specifically how they are reflected in different languages being used by physicians and their patients. My research focuses on a Mixtec-speaking community in Mexico, particularly on how members of that community seek medical services in both Mixtec and non-Mixtec areas. The first part of the analysis will be to to observe the communication between Mixtec local healers and their Mixtec patients (where both healer and patient share the same language). The second part of the analysis will be to observe the communication between Mixtec patients and their non-Mixtec physicians in their local town as well as in a nearby Spanish speaking city. All this data will be compared to the situation of Mixtec immigrants in the United States. My principle method for gathering data is by interviewing Mixtec local healers in Yucuquimi de Ocampo, Mexico and Spanish speaking doctors in Yucuquimi and Huajuapan de León – the district city to which Yucuquimi belongs and where people from Yucuquimi seek services not available in their small rural town. I’m excited to finally start working on this big part of my project now that I have secured the appropriate IRB authorization. Semple, Kirk. “Immigrants Who Speak Indigenous Languages Encounter Isolation.” The New York Times. 10 July 2014. Web.